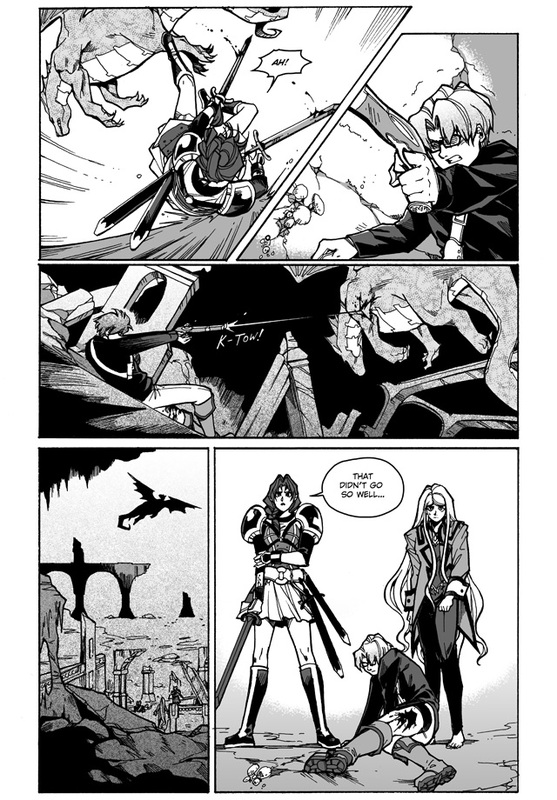 A little late, but enjoy this bonus page to in celebration of us making our Kickstarter goal. No other news right now! I am hard at work getting the book ready for print. Cons: severe acid-ridden leg wound, possibility of parent dragon showing up. Could have been worse, Lena. Much worse. At least nobody died. How long has that dragon been underground? I’m surprised that there’s enough room for it too fly around to develop its wing muscles. Those wings did look pretty scrawny. Also, better check Kaden’s wound for things like poison or acid, because that could be much worse than it looks. No villain-style “I’ll get you next time, Gadget!” retort, so maybe this means dragon won’t be coming back? It’s just a widdle dwagon, why would it swear vengeance on our heroes?